Twenty five year old Thomas Green commenced his Leeds business in 1835 as a wireworker, initially in a modest shop in Lowerhead Row. His range of products gradually encompassed the wider horticultural trade, for example fencing and tools, and by the 1850’s he was manufacturing hand rollers and lawnmowers, which for over a hundred years were the backbone of the business. 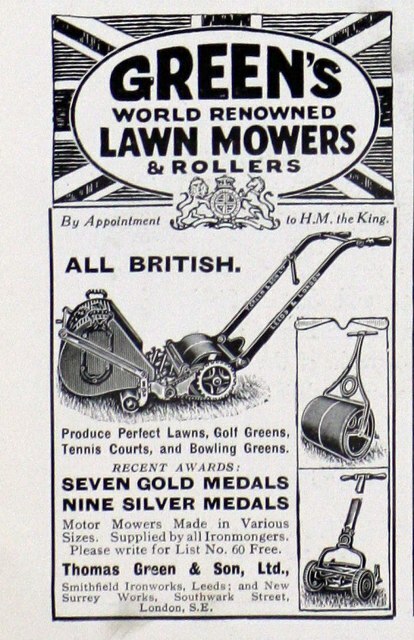 Greens were the British market leaders in lawnmowers for much of the period and sold well over a million machines, with large numbers being exported to Australia, New Zealand and South Africa. The expansion in trade brought about a move to North Street and the opening of the Smithfield Iron Works. 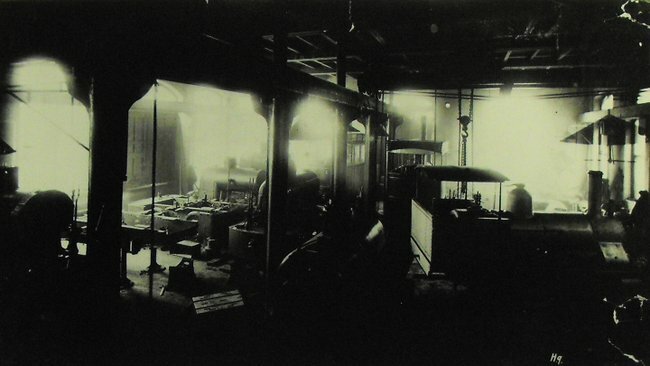 While some engine makers of the time would claim a London address that was little more than an office that forwarded mail from the capital, Thomas Green established a large engineering facility in London. The advert below notes an address on Blackfriers Road, in 1881 they moved to No 197. 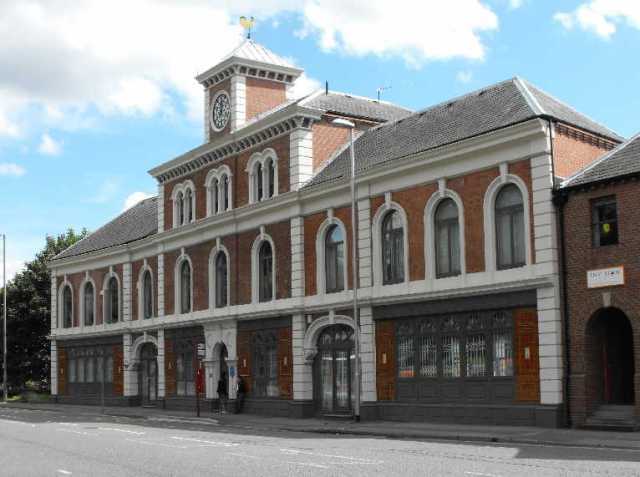 The new address was a former chapel in a round building the "Old Surrey Chapel" which became Green's "Surrey Works". In 1902 they moved to a purpose built facility on Southwark Street, the "New Surrey Works", this remained with the firm until 1961. One consequence of the lawnmower trade was the construction of a foundry to produce the rollers, gears and side plates. The foundry led onto other things and very soon Greens were offering simple cast-iron shell boilers for heating greenhouses and the like. This in turn led to the production of small combined boiler/engine units that were used for powering small workshops before the introduction of public electricity supplies. 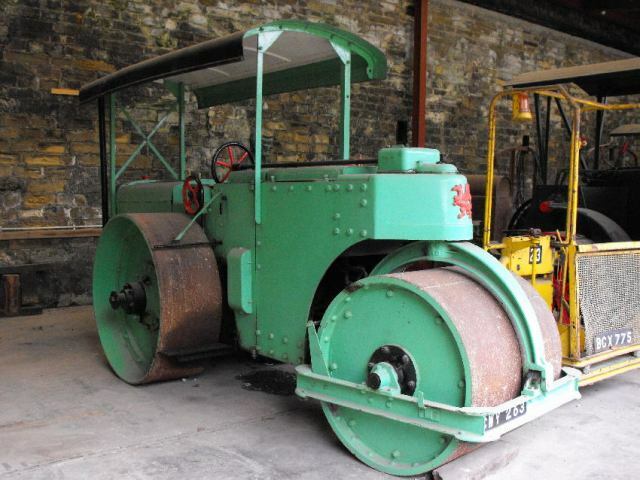 In 1874 Greens first road roller was built and this developed rapidly to become their second major product and these continued to be built until the company closed. Having produced a steam powered vehicle, it wasn’t a major leap for Greens to produce in 1882 the first of over 200 steam tram locomotives. This ranks them second behind the market leaders Kitson & Co. of Leeds with around 300 machines. More about Thomas Green's tram production can be read on our tram making article. Steam trams evolved into a range of steam railway locomotives, with around 40 produced, of which more that half were exported to destinations such as, Australia, Brazil, Germany, India and Peru. Along the way, many other products were made, including laundry machines, food processing machines, gas engines, electricity generators for fairgrounds, aircraft parts, to name but a few. To cover more thoroughly the full range of products produced by Thomas Green, it was pretty much anything that could be made of metal. All sorts of castings were produced down to humble gates, fences and tables. One of this website's writers uses this as an excuse for being found under pub tables, there are still a few Green's pub tables to be found in local pubs. This website is mainly conscerned with details of engines however, be it on road or rail, so we will concentrate on the firm's engine related products. During the First World War the company, like many others became government controlled and produced a range of shells. In addition, they built aircraft components for the Blackburn Aircraft Company. This came about because Robert Blackburn, the Chairman of the Blackburn Aircraft Company, had been employed at the Smithfield Iron Works though the influence of his father George William Blackburn, who was a Director of Greens. 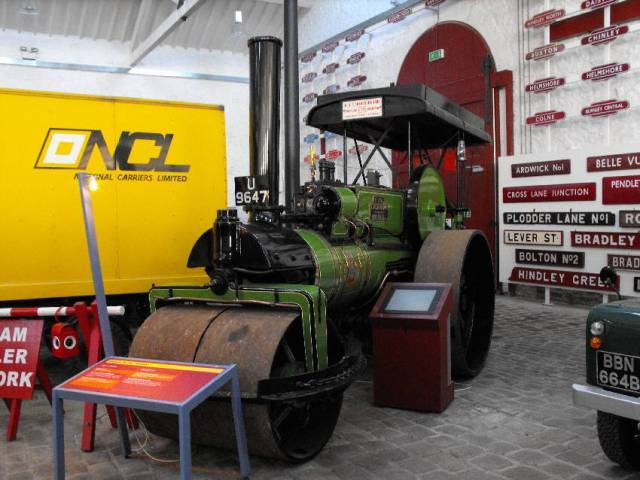 Shortly after the turn of the century, many of Green’s products were offered with petrol engines, including road rollers, lawn mowers and road sweepers and these very quickly overtook their steam equivalents in terms of numbers produced. The introduction of diesel power in the 1930’s continued the evolution of the company and this sustained them very successfully until 1975 when after several changes of ownership, the business was closed down. Thomas Green were taken over by the Industrial & Commercial Finance Corporation in 1972, a government backed scheme to finance small and medium sized enterprises. The ICFC had previously bought the civil engineering equipment part of the business of fellow Leeds engineering firm Hudswell Clarke in 1968 and the two were merged. Thomas Green - Hudswell Badger produced Hudswell Badger's "Total" fork lift trucks and "Sherpa" stackers along with Green's road rollers. When the firm was closed in 1975 these ranges were acquired by Atkinson of Clitheroe. Green's lawnmower business was aquired by Reekie engineering of Arbroath who added some of Green's designs to their range. Though the works itself has been demolished the former offices (previously built as the Smithfield Hotel to serve the market across the road, Green's took over the building when the hotel closed) survive. A blue plaque tells of the historic significant of the building and the clock still features the company name. After Green's vacated the building it was for a time occupied by Robert Hudson as their previous offices in South Leeds were demolished with the improvements to the city's road network that came with the arrival of the motorway. 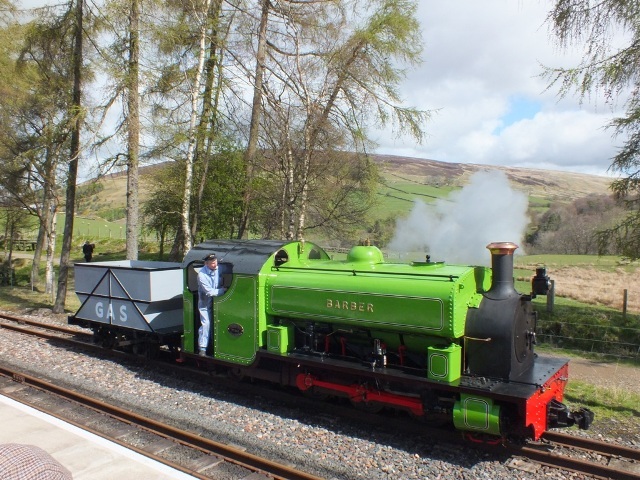 An interesting twist in the tale as Greens had previously supplied locomotives through Robert Hudson. We have many Thomas Green records in our database but there will be many more records to add as time permits. A small number of Green items survive in preservation. Sadly we don't have any Greens catalogues ourselves, however there's a Greens Motor Roller catalogue on Beamish Transport Online. This article was produced by John Pease, author of the above book. Initially produced by John Pease for the Wikipedia entry on the firm, the text has been added to by editor of this site Kris Ward since it's inclusion on this site.